Saturday, March 31, 2018, 10 a.m.-11 a.m.
Children ages 6th grade and younger. Start times will be staggered. The Dayton High School FFA hosts the annual Easter Egg Hunt. 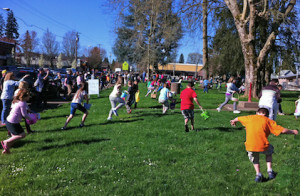 Come on down, bring the family to this event and watch the fun! For more information contact Dayton High School at 503.864.2273. 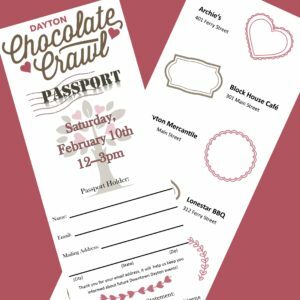 The Dayton Community Development Association is hosting the 3rd annual Dayton Chocolate Crawl on Saturday, February 10th, 2018 from noon – 3pm, at participating businesses in downtown Dayton. Bring your sweetheart or your sweet tooth, buy a $10 passport online or at one of the participating businesses, and enjoy our walkable downtown while tasting complimentary chocolate treats at each stop! Each business will be showcasing their cuisine and wares along with a bite-sized sample of a chocolate treat. All proceeds from the Downtown Chocolate Crawl support the Dayton Community Development Association and community activities for YOU! 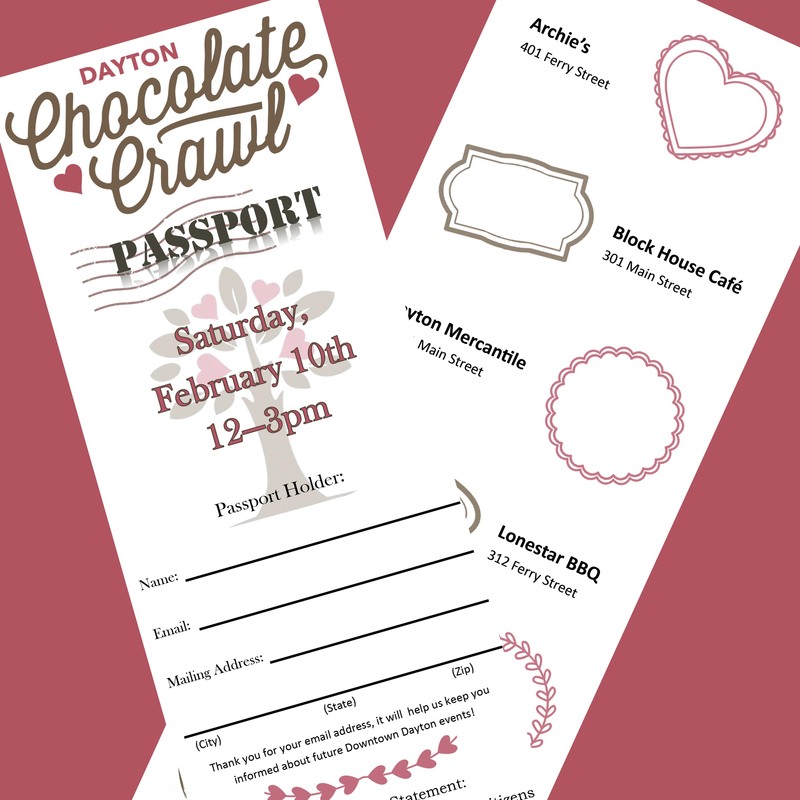 Passports for the 3rd Annual “Chocolate Crawl” can be purchased now in our online marketplace! Passports are $10.00 each. Your passport will be mailed to you and then get stamped at each business you visit on February 10th. When your passport is full, you’ll leave your passport at the last spot you visit, where it will be entered into a grand prize drawing for a Gift Basket full of Dayton goods and gift certificates to local businesses! For fun, take a picture for Facebook or Instagram and tag daytonoregon. #daytonoregon #ChocolateCrawl . Also tag the business you’re in! We will draw from entries for downtown prizes. Show some Valentine spirit! Watch our Facebook page or our website for further information. Participating businesses are: Archie’s Ice Cream and Eatery, The Block House Cafe, Dayton Mercantile, Lonestar BBQ Restaurant, Seufert Winery, and Zukasa Mexican Tienda. 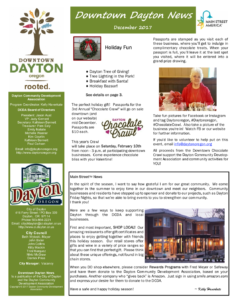 The Downton Dayton Winter 2017 Newsletter is out! 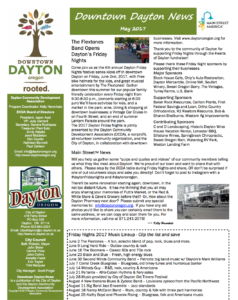 Read all about what’s happening in Dayton, from winter holiday events to water system and rights updates! Presenting the 2nd Annual Artscape! The Downton Dayton Spring 2017 Newsletter is out! Read all about what’s happening in Dayton, from Brookside Cemetery changes to Artscape 2017 auctions!